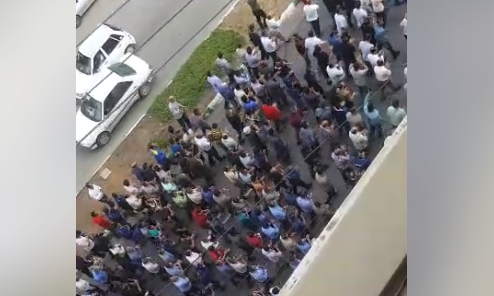 In the last four days, a historic anti-Islamist uprising has ushered in from Mashhad and spread all over Iran including Tehran with no slogans to support Islamic Reformism at all (1). Regardless of the outcome of this uprising, this movement is a turning point in Iran and the rest of Middle East. It is not just some intellectuals such as this author who called for a Global Secular Initiative in the Middle East less than three years ago (2), it is now a strong movement calling for an end to Islamism and to build a secular democratic republic in Iran (3) which they refer to by a slogan calling for an "Iranian Republic." Already more than three people have been killed by the regime's forces while at the same time the hijab law has been relaxed by the authorities in Tehran. It was heartwarming that the US President Donald Trump expressed his support for this movement two days ago and hope all people and politicians regardless of their differences about Iran, to create a worldwide support for this movement and not to pay attention to the words of Islamist Reformists abroad who advise against such support, which will be appreciated by all those who are putting their lives at risk for secular democracy to succeed in Iran and hopefully the rest of the Middle East. Iranian Secular Democratic Party (4) has been advocating this roadmap for a long time and is actively helping this movement. Wishing everyone a happy new world year of two thousand and eighteen.